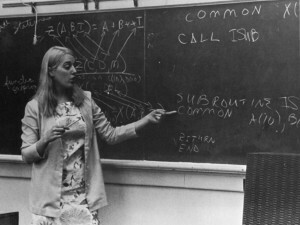 Can you identify these people from the 1967 Rollamo? Please use the comment section to identify people, places, or equipment in these photos from the 1967 Rollamo yearbook. If these photos jog other memories of your time on campus, please comment on that too. Please note that comments are moderated to weed out spammers, but genuine comments are most welcome and will be posted upon review. 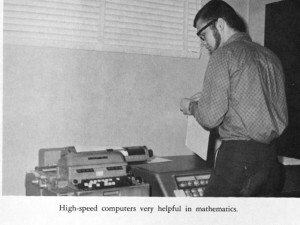 Rollamo 1967 Photo 1: Amazing that there were still key punch operators at this date to help students with their card decks. Who are these unsung heroines? 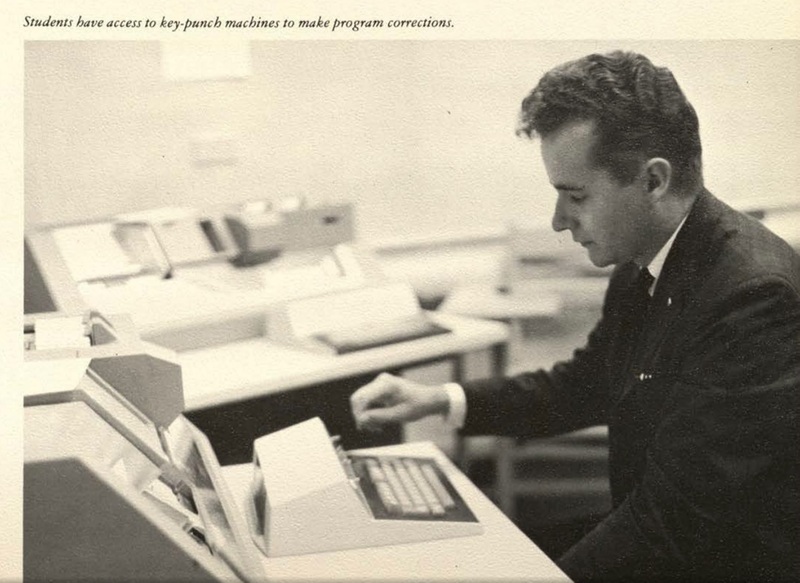 Rollamo 1967 Photo 2: “Students have access to key-punch machines to make program corrections.” And who is this student? 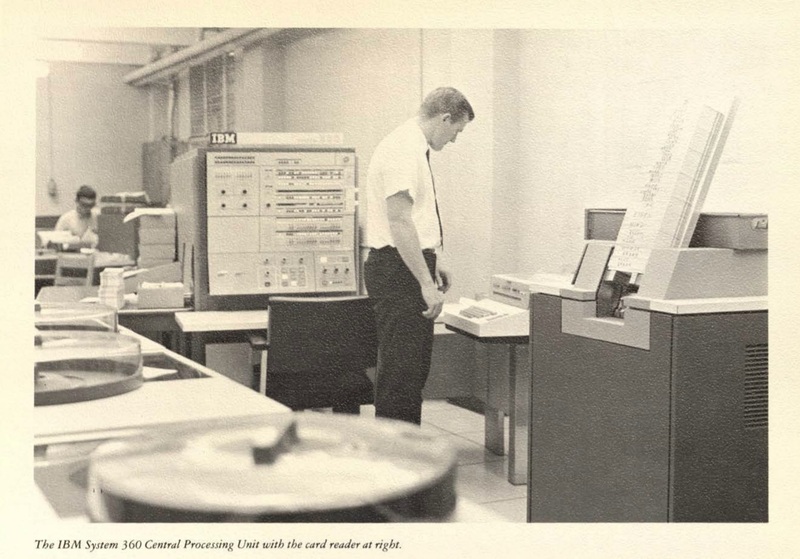 Rollamo 1967 Photo 3: The IBM 360 is featured in this pic, with one person in the background and one in the foreground. Who are they? 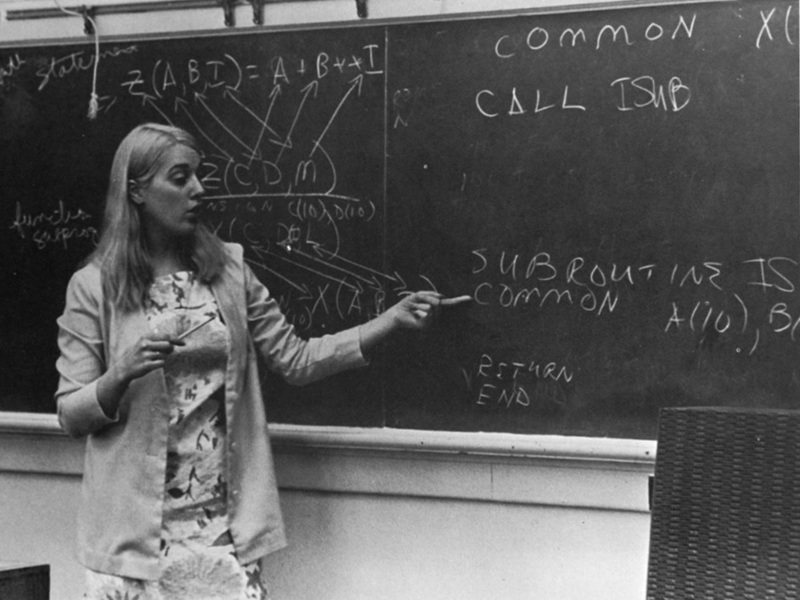 Can you identify these people from the 1965 Rollamo? Please use the comment section to identify people, places, or equipment in these photos from the 1963 Rollamo yearbook. 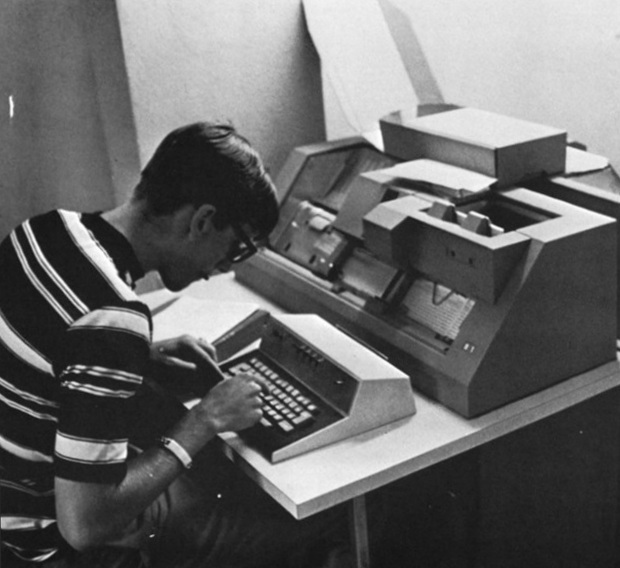 If these photos jog other memories of your time on campus, please comment on that too. Please note that comments are moderated to weed out spammers, but genuine comments are most welcome and will be posted upon review. 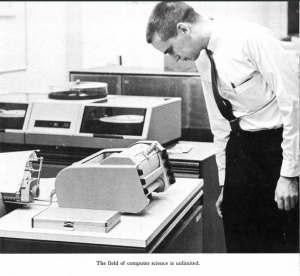 1965 Rollamo Photo 1: Do you know this student sitting at the IBM 1620 II console? 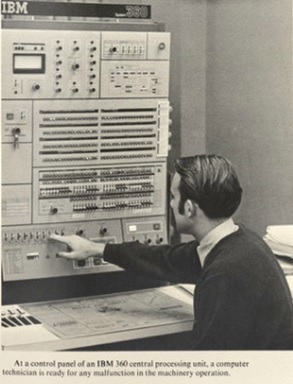 Any more info about the computer equipment? 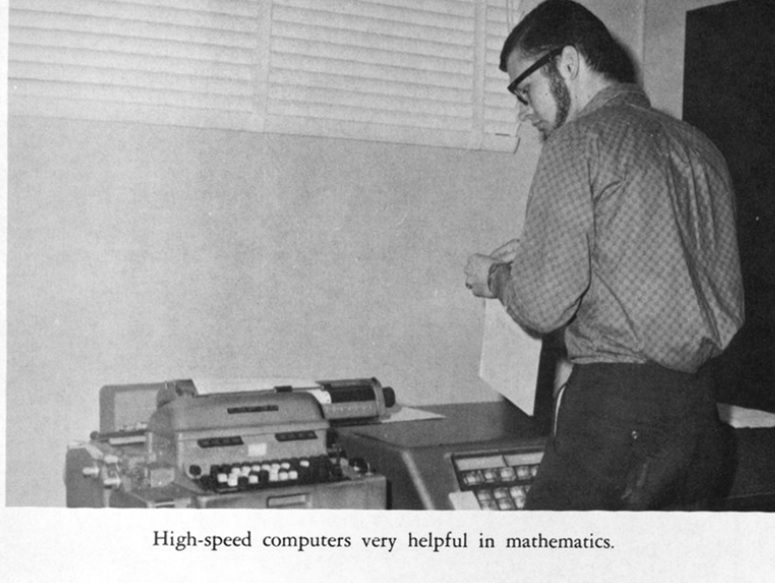 Rollamo 1965 Photo 2: Do you know this fellow? What is he staring at? 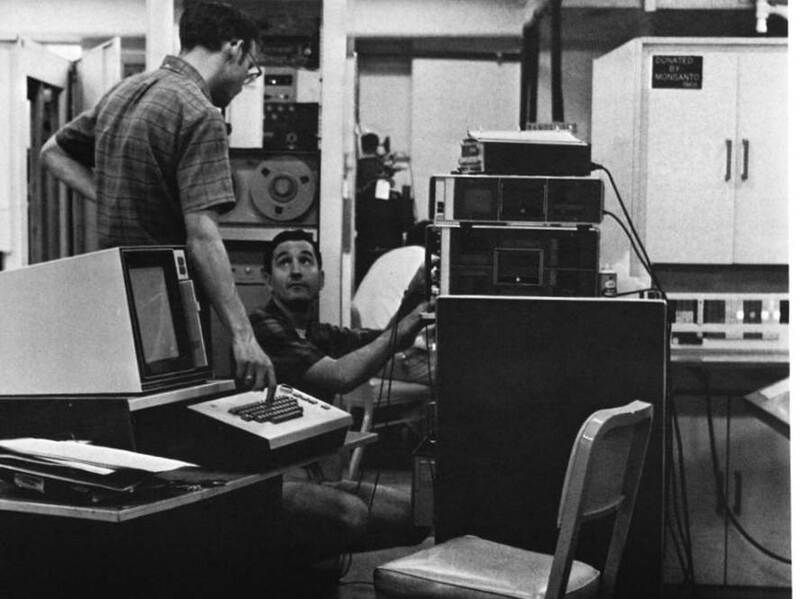 Can you identify these people from the 1964 Rollamo? 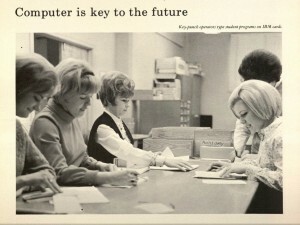 Rollamo 1964 Photo 1: Anyone know these secretaries who are typing hollerith cards? 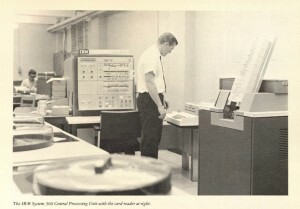 Please use the comment section to identify people, places, or equipment in these photos from the 1964 Rollamo yearbook. 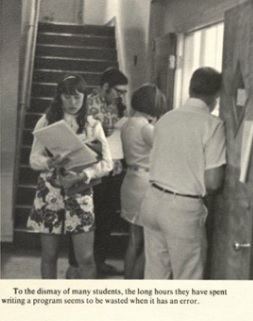 If these photos jog other memories of your time on campus, please comment on that too. Please note that comments are moderated to weed out spammers, but genuine comments are most welcome and will be posted upon review. 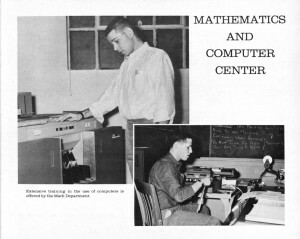 Rollamo 1964 Photo 1: Overlapping pictures of students using computer equipment, but what models and who are these guys? Can you identify these people from the 1963 Rollamo? 1963 Rollamo Photo 1: Unnamed student and what is the equipment?